The results of the 2007 International Retailers Survey commissioned by Real Estate Publishers (REP) in association with the International Council of Shopping Centers (ICSC), and produced by global real estate consultant Cushman & Wakefield, concludes that cities in Central and Eastern Europe (CEE) dominate a top 20 ranking of new destination cities to be targeted by cross-border retailers over the next five years, with Moscow in the number one position, followed by St Petersburg and Prague, reported vgmrealestate.nl. The survey interviews property executives responsible for international expansion at 250 retail companies from 23 countries across Europe. The survey focuses on retailers’ views on expanding across border, their expansion plans, and the main issues affecting these plans. According to the survey, the only Western European city in the top ten is Amsterdam, which shares its 10th position with Kyiv. This year’s over achievers are the capital cities of the European Union’s newest members, with Sofia and Bucharest both up two places to 6th and 7th respectively. On a country basis, Russia and the United Arab Emirates are in joint top position, with 9 percent of retailers planning to expand in these countries over the next five years. Then comes Slovakia (6 percent of retailers), followed by Bulgaria, Slovenia and Hungary (5 percent each). When looking at the current international representation of the retailers interviewed, 26 percent have units in France and Spain, at the top of the list, 25 percent in Belgium, German and the UK, 20 percent in Austria and Italy, 18 percent in the Netherlands and Switzerland, and 17 percent in the Czech Republic, Portugal and Russia. 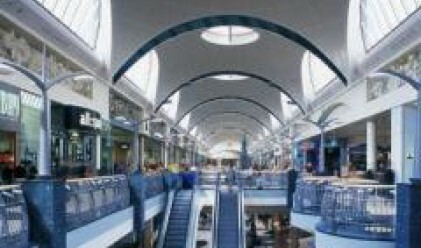 Seventy-three percent of retailers prefer a high street location, 46 percent favour in-town/city centre shopping centres and 35 percent locate in out-of-town shopping centres. 82 percent say that a ‘direct/organic’ approach was their preferred method of entry into new markets, followed by 21 percent saying franchise and 20 percent joint venture with local partner. Tallinn offers the best value for money relative to retail space, followed by Moscow and Glasgow in joint second position, and then Budapest. France is the most successful market outside the home market (for 22 percent of retailers), followed by the UK (21 percent) and Germany (20 percent). The use of multi-channel retailing is increasing, but it is still to make its mark in some parts of Europe, especially Central and Eastern Europe. 87 percent of retailers have a website, and 18 percent a transactional website. Following physical stores, telephone ordering from paper catalogues is the next most popular sales method (35 percent), followed by mail order from paper catalogues (25 percent) and website purchasing (17 percent). On-line retailers, with no particular ones named, takes the number one position, although in CEE it is the Russian supermarket chain Pyatyorochka. Second overall comes Marks & Spencer, followed by IKEA, Carrefour, Wal-Mart, Zara and H&M in joint third position. Retailers were also asked their main issues of concern. The top answer was performance of the economy, followed by property occupancy costs, multi-channel retailing, workforce availability, consumers’ ethical concerns, venture capitalists moving in, and, lastly, sustainability/becoming neutral.